Focus RS The place to chat about general questions, window tinting, exterior body, interior and lighting upgrades for the 2016 Focus RS. 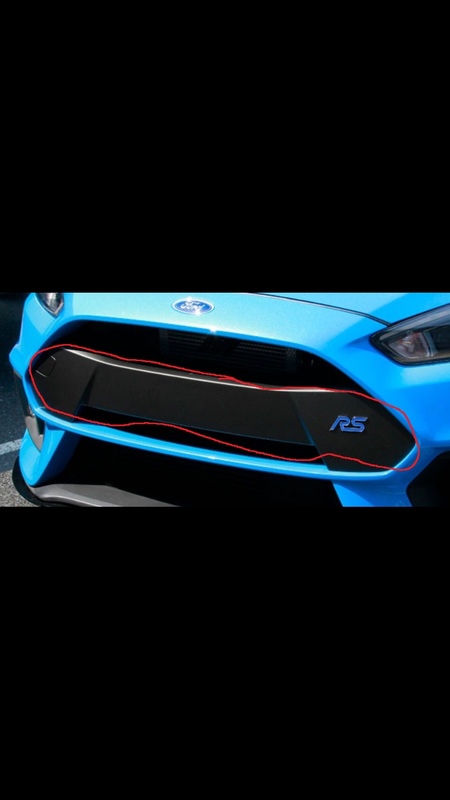 Why does the RS have this bar going across the grill & does it serve a purpose? It looks nice but why doesn’t the ST also have it? The RS engine and inter cooler were too efficient causing it to run cooler. The grille bar on the RS helps keep it warmer. Actually that bar is in front of the front crash bar behind the bumper. The Honeycomb grill on the ST is solid and doesn't allow you to see the crash bar. It is Aesthetic.